Revenue said that this over the phone scam has in no way involved its systems or security. THE REVENUE COMMISSION has issued an official warning about the latest bogus phone call scam being carried out on members of the public. The commission said it had been made aware of a number of people who had received phone calls from a person purporting to be calling from Revenue. The person carrying out the scam has been demanding the immediate payment of a tax bill, while a number of people had also been told a criminal case is being taken against them. In light of this recent scam, Revenue is now advising anyone who receives a suspicious phone call like this, particularly if it is unexpected, to contact the Revenue office. “If you receive contact demanding payment of tax about which you have any doubt, you should contact our Collector General’s Division,” Revenue said. While the commission has not received any reports of anyone falling victim to this scam, it has said that “anyone who mistakenly provides personal information in response to these types of fraudulent phone calls should contact their bank or credit card company immediately and alert the gardaí”. Revenue added that this over the phone scam has in no way involved its systems or security. “Revenue’s internet facing sites are ISO27001 certified. This is a globally recognised Information Security Standard which is independently audited and sets requirements in areas such as information security organisation, data handling, and networks, ensuring that taxpayers’ personal information is secure,” a spokesperson said in a statement. The commission also warned the public to be cautious of ‘phishing’ emails that regularly circulate seeking personal information or credit card detail from people. “Revenue will never send emails requiring customers to send personal information via email or pop-up windows. 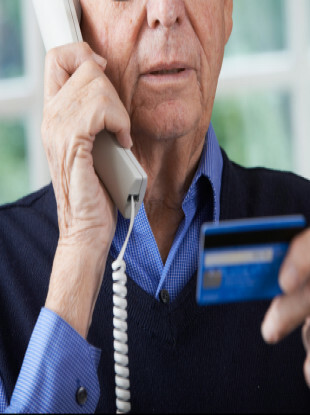 Revenue has provided general advice for customers about online and over the phone scams. Revenue does not recommend sending personal information by email. Anyone who receives an email purporting to be from Revenue and suspects it to be fraudulent or a scam, should simply delete it. Anyone who provided personal information in response to a phishing email should contact their bank or credit card company immediately. Anyone who is actually awaiting a tax refund should contact their local Revenue Office to check its status. Anyone who receives an email demanding payment of tax about which they have any doubt, should contact our Collector General’s Division ( 01 738 36 63 or 1890 20 30 70). Email “Revenue warns of latest phone call scam telling people 'a criminal case is being taken against you'”. Feedback on “Revenue warns of latest phone call scam telling people 'a criminal case is being taken against you'”.